KandeeG.com is the leader in providing customized advertising solutions to help businesses and marketers achieve their goals. We provide compelling alternatives to help you maximize your brand’s ad dollars. Within our well networked community, advertisers can reach and influence audiences on the web and throughout the world. The possibilities start here. Through TV, radio, events, partnerships, direct mailing, emailing, sponsorships, marketing, and other proprietary means of advertising, we co-partner and create outstanding results. 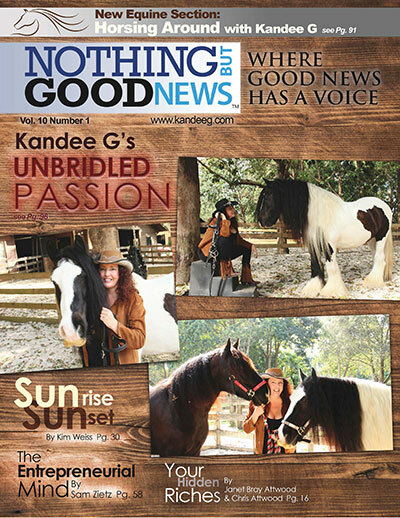 Find out about our sponsorship opportunities for the Nothing but Good News Radio Show and Magazine. Please contact: Sales@hawkinssharpe.com/kandeeg.com/ to customize advertising packages that meet your needs and budget.